South Africa has the largest, most diversified and highly industrialised economy in Africa. South Africa is also influential regionally, due to its investment and political engagement in many African countries with an active role and leadership within the inter-governmental African Union. 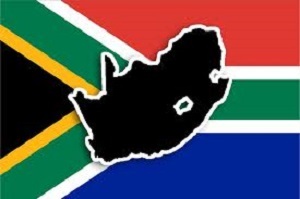 The effect of business and politics on the South African economy has always been a hotly debated topic and an area of concern for international businesses based in South Africa as well as companies looking to invest regionally. According to JP Landman, South Africa will probably be a much better place to live in 20 years from now than it is today. We just need to get there. JP Landman’s view on the effect of business and politics on the South African economy. Mr. Landman has a deep understanding about the effects of politics on business; this is what he addresses in “The Long View”. “The Long View” is an antidote to the high-intensity assault on the senses of the daily news. Landman points to factors that suggest South Africa is on the right path. The economic growth rate comfortably exceeds population growth, even with immigration. That means per-capita income will continue to rise, increasing the wealth of the nation. For example, income per capita in South Africa is above the $6 000 (R61 360) threshold at which studies show that the chances of democracy flourishing are 80 percent and rising. In his book, Landman looks at what makes a modern successful society and then examines the economy, demography, labour, open societies, creative individuals, inequality, and social capital within South Africa. The result of this examination is that, in general, South Africa has what it takes to be a modern successful society and the best way of achieving this, is to follow the National Development Plan. The National Development Plan (NDP) offers a long-term perspective. It defines a desired destination and identifies the role different sectors of society need to play in reaching that goal. The NDP aims to eliminate poverty and reduce inequality by 2030. According to the plan, South Africa can realise these goals by drawing on the energies of its people, growing an inclusive economy, building capabilities, enhancing the capacity of the state, and promoting leadership and partnerships throughout society. The JP Landman talk about the effect of business and politics on the South African economy, which is sponsored by The Finance Team, Aon South Africa and FNB Vumela will be addressing top businessmen in Johannesburg about the influence of politics on business prior to the 2014 Election on the 6th of May at the Bryanston Country Club. If you would like to attend this talk register here as seats are limited. Is the part time finance manager here to stay?